The Environmental Services Department is excited to invite residents to participate in a Water-Wise Challenge! Pledge today and earn triple points for your village! To become water-wise, residents pledge to turn off sprinklers for a 6-month period from October 15, 2017 through April 15, 2018. To pledge, submit online or in person at the Environmental Services Department located at 8203 Millennium Forest Drive (77381). How does your village win the challenge? One pledge per household will earn a point for their village. The three water-wise villages that receive the most pledges will earn a cash donation for their scholarship fund from program sponsors. Early pledges receive bonus points! Triple points: Pledge made today until October 31, 2017. Double points: Pledge made between November 1 – December 31, 2017. Single point: Pledge made between January 1 – April 15, 2018. Turf grass, particularly St. Augustine, naturally goes dormant during winter months and uses all available energy to grow and strengthen the root system, resulting in healthier spring lawns. Lawn watering accounts for up to 80 percent of the water usage by residents of The Woodlands Township during the peak summer months. Turning off automated sprinkler systems over the winter has helped to reduce total water usage significantly over the past five years. 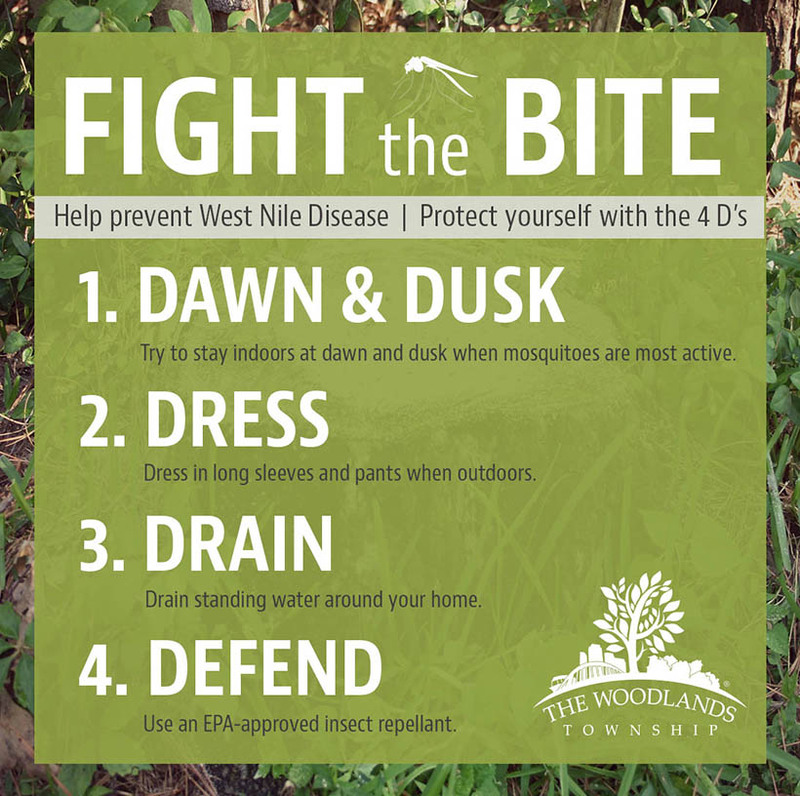 Please visit us online or call the Environmental Services Department at 281-210-3800. The Orange Bags are Out! Noticed all the orange popping up these days? That’s the sign that curbside textile recycling has begun. So join the crowd, fill up your orange bags, and set them out beside your carts. Simple Recycling automatically picks up your bag on your regular solid waste service day – no ordering necessary! They even leave a replacement bag for the next round. Textiles in any condition are accepted, along with shoes, books, toys, and housewares. Everything is re-used or recycled – reducing materials placed in landfill. Didn’t receive a bag in the mail or need extras? You can request them online or call 866-835-5068. Consider donating your quality items to a charity. Then stuff the rest in your orange bag and set it out. 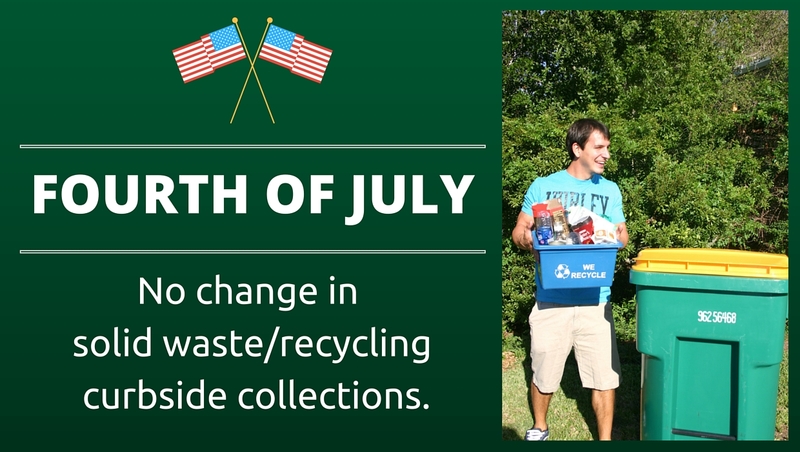 For more information on the program, simply visit Simple Recycling online or contact The Woodlands Township Environmental Services Department, 281-210-3800. Nature Exploration Walks are good for you! Getting outside is a good thing. Learning about local nature is great! This fall, the Environmental Services Department is offering a new series of Nature Exploration Walks at The Recreation Center at Rob Fleming Park. Residents are invited to come out for a leisurely walk along the nearby trails with a trained naturalist to learn more about the most common wildlife in our area. Did you know? “There is a rapidly growing body of studies which show that people are healthier when they spend time in nature. Connecting with the natural world – whether it is in your backyard, out on the lake, or exploring a forest – has been shown to improve a wide range of mental and physical conditions. Conditions such as dementia, asthma, depression, ADHD, autism spectrum disorders, diabetes, and many others respond to time in nature. Physicians are rapidly learning about the benefits and have begun prescribing nature to their patients as a component of treatment and wellness.” Daniel Porter, Medical Director, Lone Star Family Health Center. Join in for the health of it! Bring the family and discover what nature has to offer! The walks are FREE, but registration is required. Click on the links to learn more and register today! September 16, from 9 to 11 a.m.: Who Lives in the Woods? Discover nature at your backdoor with a full schedule of lectures and outdoor experiences, please visit Gardening and Nature Classes and Events offered by the Environmental Services Department. Learn to Grow Fall Vegetables,Organically! Textile Recycling Comes to You! The Woodlands Township is now offering an additional free and EASY way to recycle textiles, shoes and housewares. And, it’s happening right at the curb on your regular solid waste service day! Collection begins the week of July 31. Regular Trash Schedule on July 4th! Recycling Dilemma #1002: Got Stuff? What’s Buzzin’ in Your Garden?